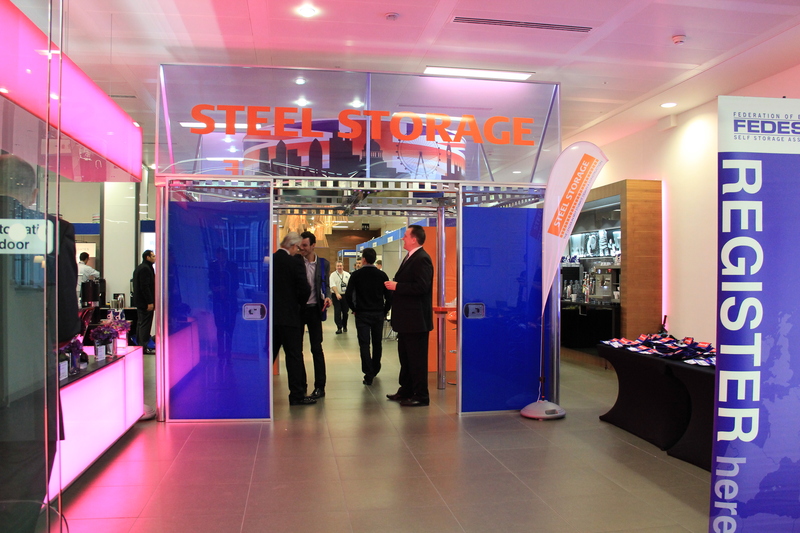 This year our annual Self Storage Conference took place in London where Steel Storage Europe – company I’m working for is having headquarter. the connections between the main subjects for this purpose. 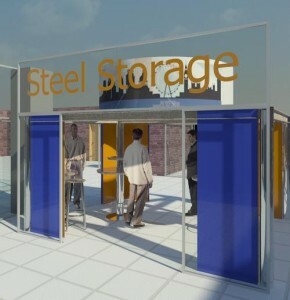 I tried to put Steel Storage brand as the first on the line to underline its position of the leader on self storage market. 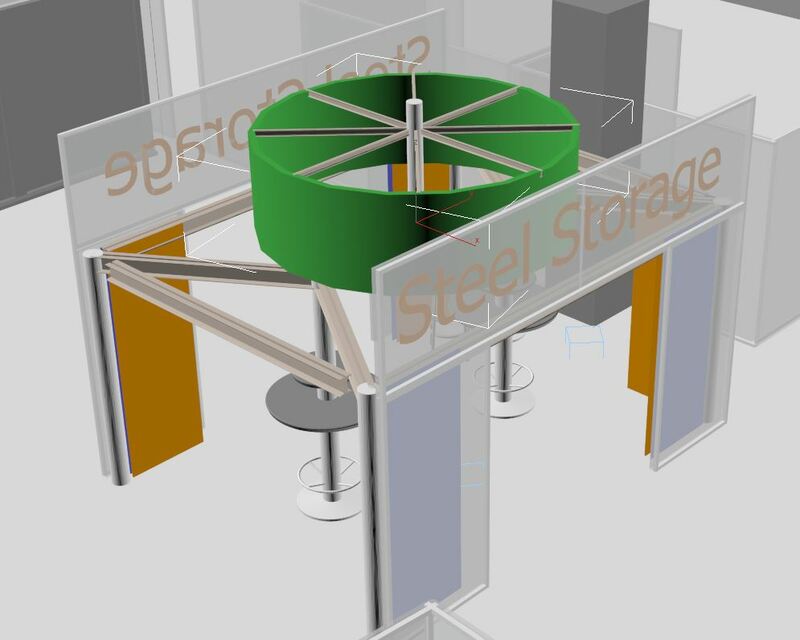 Because we are playing central role at the conference floor we had middle entrance place which I treated as Steel Storage Stand being the gate to the rest of participants. This fact caused very interesting design requirements because of the 2 opposite directions I had to follow. First was to put all needed information onto the stand’s elements. Second was to great emptiness and invitation feeling of the entrance gate. 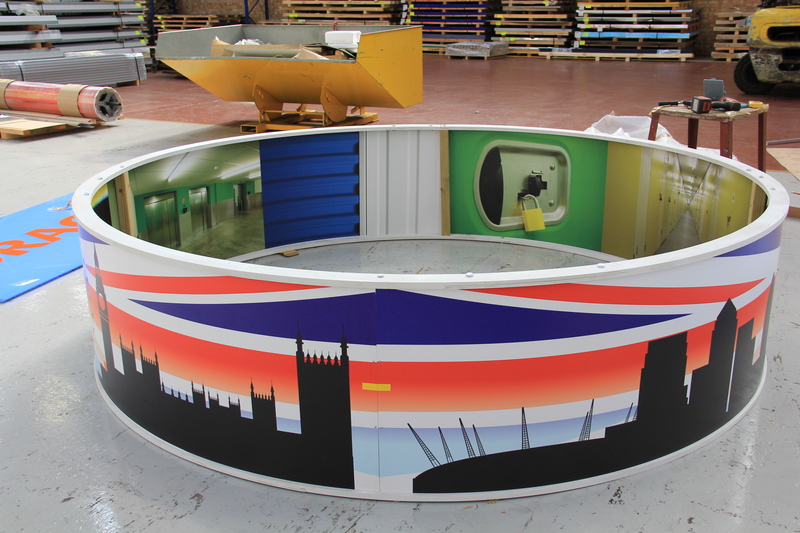 Additionally we had implemented the most important symbols of London. The top ring based on the idea of St. Paul’s Dome was imprinted around with London’s Panorama. the Queen and English Lion. Transparency of the Plexiglas’s panels for both gate’s sides gave us breath of space and shiny look.